Keep track of the progress of assets throughout major processes. Know where to locate assets at all times. Ensure all assets are checked in or out with proper documentation. When an RFID system is properly installed within a facility, the possibilities are endless – keeping track of timelines, finding assets with ease, and keeping accurate shipping and receiving records, just to name a few. The ability of an RFID based system to keep an accurate history of where assets have been and where they are headed, is critical in certain industries. Some companies document an asset’s history to limit the amount of liability the company has for each asset. Others track each asset and, by knowing when and where everything is, are better able to plan and forecast for shipments, manufacturing, and a more efficient use of resources. If shipping and receiving is identified as a point where assets are commonly lost, adding an RFID system to trucks and dock doors can help to pinpoint where the issues reside. Adding an RFID system to a truck responsible for transfers can supply a decisive history report in case the receiver losses the asset and claims it was not delivered. Asset tracking can be implemented using passive and active RFID systems in conjunction with GPS/satellite, cellular networks, and Wi-Fi systems. These different variations can give companies visibility into large facilities across the world. Locating assets can be accomplished using two main types of systems, Real-Time Location Systems (RTLS) and Log-based systems. In an RTLS system, information pertaining to the location and other parameters of the assets is continually updated in real time (or near real time) and available for access. Consequently, these systems can be more expensive to deploy and maintain than systems which do not provide real-time information. The tagged asset’s position is updated in the system multiple times per day (the frequency of the update will depend upon the system settings). Satellite GPS Tags: Communicates via satellite and provide GPS coordinates. Of note, GPS only works outdoors. Cellular GPS Tags: Communicates via cellular data networks and provide GPS coordinates. Again, only useful outdoors. Locating tags in warehouses can be accomplished with passive and active RFID, but for a longer read range and wide area operation outdoors, some companies use Satellite/GPS, Wi-Fi Tags, and Cellular RFID tags and systems. Cellular RFID tags, satellite RFID tags, Ultra-Wideband tags, Ultrasonic tags, Wi-Fi tags, and active tags are more expensive than passive tags. Active RFID works well in laydown yards for pipes or other large equipment and requires a complete software solution like Jovix™ to provide optimum value. Active RFID systems are also used indoors in industries like data centers and healthcare where less intervention is desired and to collect data automatically on a continual basis and with minimal infrastructure (such as portal setups). 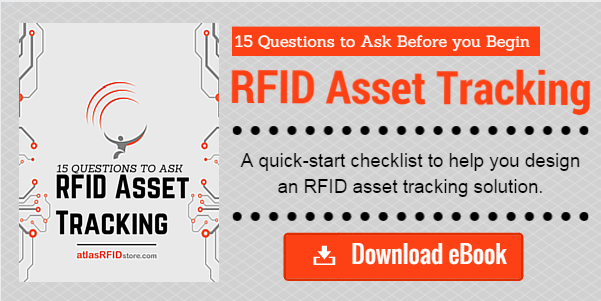 To read examples of industries tracking assets with RFID, read 5 Examples of RFID Asset Tracking. Log-based systems do not require real-time location of assets and can be implemented using a passive RFID system. Companies that use this type of system find their assets by tracing their progress through a facility with the use of RFID checkpoints. Each time a tagged asset is read at a checkpoint, the software can update the asset record with information such as the timestamp and the checkpoint that read the tag. This is one of the more common types of systems because it is less expensive and provides accurate results. For more information on this article and the types of RFID systems, comment below or contact us for more information.